The members of Trio Aristos have in various constellations worked with each of the composers – most extensively with Per Nørgård, the grand old man of Danish music, who is represented here with three works composed in the years around 1990, including the duo Tjampuan for violin and cello. His younger colleagues all contribute one work each to the disc, all of them written between 2009 and 2014. 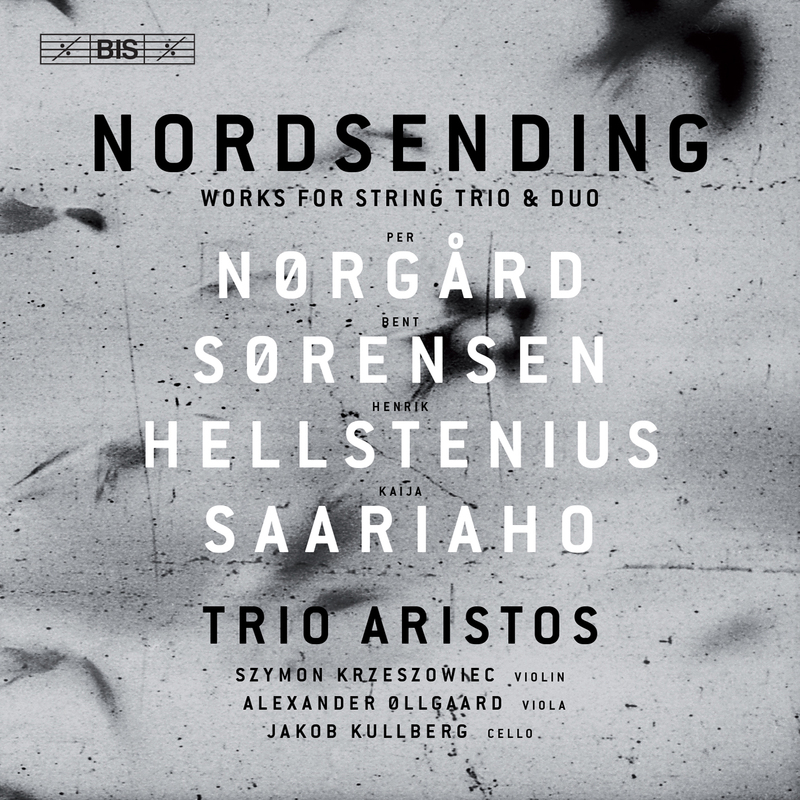 Kaija Saariaho found inspiration for her four-movement trio in different cloud formations, while Bent Sørensen with Gondole added to a series of works inspired by Venice. Gondole was commissioned by Trio Aristos, and so was Rift, by the Norwegian composer Henrik Hellstenius, who recomposed the piece for these performers from his earlier series Imprints.